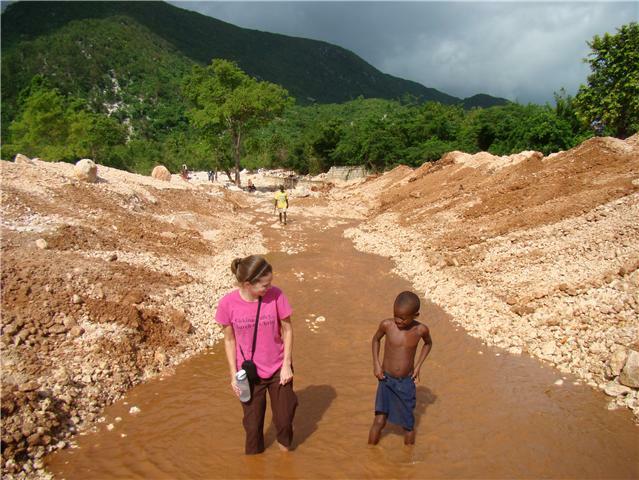 Ginny in Haiti: Lions and Deadlines and Adoptions...oh my! I was at my home church the Sunday after Thanksgiving and they had a special "Praise and Thanksgiving" service. Sadly, the attendance was waaay down. People sure missed out. As I was walking in, the Women's Ministry leader asked me if I would be one of the people who stood up and said something they were thankful for. Kinda feeling put on the spot, I said Yes. Today I am most thankful that our Savior did not stay a sweet little baby. Because there are some battles in life that I have had that I didn't want to call on a sweet, meek, mild child to help me. I have had REAL problems. I needed the God who caused the walls of Jericho to fall. I needed the God who closed the mouths of lions for Daniel. I needed the God who calmed the stormy sea. A couple weeks ago was one of those times. You all know I started my journey to adopt Odessa on May 8, 2010. (I am waiting to be of legal age (35yrs) in Haiti to adopt) Well a couple weeks ago Haiti decided to change some adoption laws and one of those laws would shut me out of ever being able to adopt her. So I panicked. So did my lawyer. So did Odessa's birth mother. This was an emergency. My lawyer told me to get to Port au Prince right away with all the paperwork. There was a deadline to get Social Services to accept my dossier. We had 2 days. Long story short...the would not accept it due to my age. Even though they knew this would block me out of adopting her once the new law took place. I was defeated. Or so I felt. And thought. So we went to Social Services the Monday after the Friday deadline had passed. I asked to speak to the director. I thought if she could just hear my story...how I am following their law by waiting and living here and raising Odessa in the meantime....that she would understand and accept my dossier. David and I and the lawyer sat there all day. She would not see me. So what did this stubborn mama do? We went back Tuesday of course. We sat in the same place staring at the same cement block wall waiting. My lawyer started talking about us giving up and him trying other avenues. I think the look on my face was all the answer he needed. He said, "You are like a mama lion protecting her baby." I turned back to the cement wall and started thinking about lions. How strong they are, how big they are, how everyone seems to get out of their path and let them go by. Then I remembered the movie, The Lion, The Witch and the Wardrobe. You remember Aslan in that movie? How gentle and wise he was, but when it came to protecting and fighting his shoulders got broader and his roar echoed through the theater. I was up against a brick wall and I didn't need my God as a sweet little baby boy. I needed Aslan. I needed the God who fights for His Children and justice. That broad shouldered lion who could break through these cement block walls and get my paperwork accepted. So that's who I called in my prayers. That afternoon the director, who never would meet with me, accepted my paperwork. She said she would turn around and suspend it until I was 35 but would grandfather it in to the old law. But He wasn't finished. That Thursday my attorney called to say the director had not suspended my file but instead let it begin it process through Social Services. And He still had more. 28 days later I had the Act of Adoption in my hands. Odessa now is fully and legally mine in Haiti with my last name. So you see, this year I am thankful our God chose to come to earth as a sweet baby boy to save us from our sins but I am even more thankful He didn't stay that way. Our adoption journey isn't over yet, but a HUGE piece of it is. And we give all the glory to God who has HIS own deadlines and high government contacts. So watch out USA...Odessa Andrews is almost on her way!